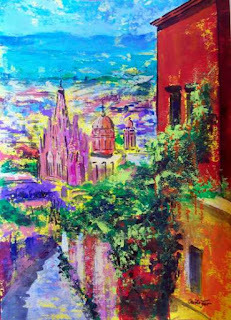 Just finished last week, this painting is reflects the color, light and atmosphere of this amazing Colonial Mexican town. 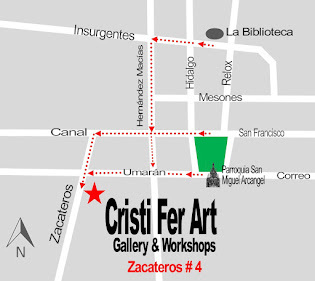 If you are an art lover and visit San Miguel de Allende check our Cristi Fer Art Gallery. Off the bitten path, San Miguel is more then Centro! 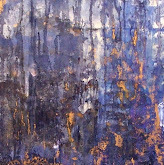 Gallery is open 12 PM to 4 PM daily, but it is a good idea to call or send an E mail and make an appointment!